Overview: Berbers are the indigenous ethnic group of North Africa west of the Nile Valley. They are continuously distributed from the Atlantic to the Siwa oasis, in Egypt, and from the Mediterranean to the Niger River. 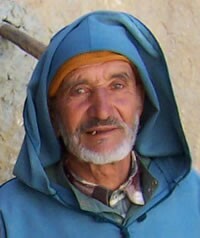 The Berber-Shilha people cluster encompasses eleven people groups primarily found in Morocco. Two large groups dominate the cluster: Imazighen (alternately known as Central Shilha) and Shilha, Tachelhit (alternately known as Southern Shilha).